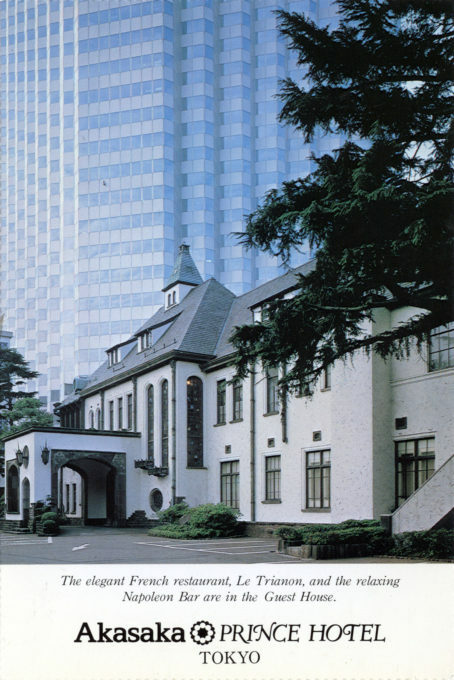 Exterior of the Akasaka Prince Hotel, c. 1960. 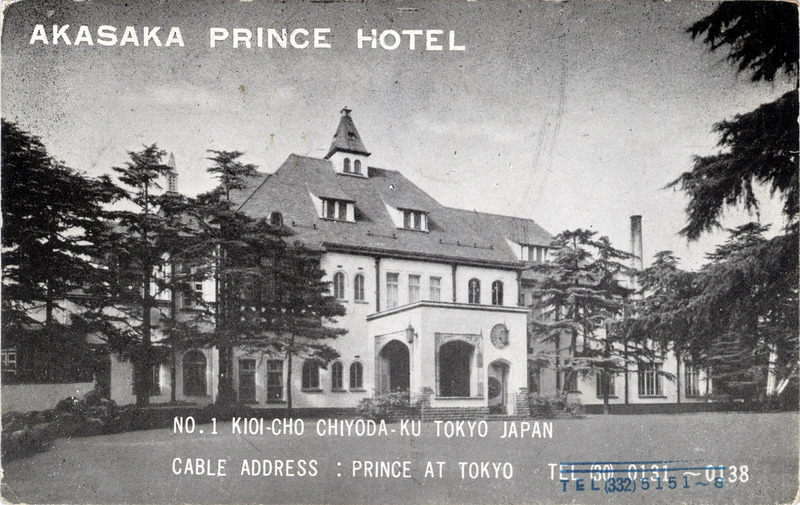 “The original hotel (colloquially referred to as ‘The Classic House at Akasaka Prince’), opened in 1955, was located in the former Kitashirakawa Palace, built in 1930 as the residence of Yi Un, the last crown prince of Korea*. Designed by Kozo Kitamura, the then-head of the Ministry of the Imperial Household Imperial Works Bureau Engineering Department, it would become surrounded by high-rise buildings that sprang up in huge numbers during the rapid redevelopment in the years following World War II. “Because of its proximity to Nagatachō Station and the National Diet buildings, it was often used by Japanese politicians for meetings and press conferences. The hotel came to be loved as a symbol of the former face of the Kioicho neighborhood, a symbol still loved by residents today. 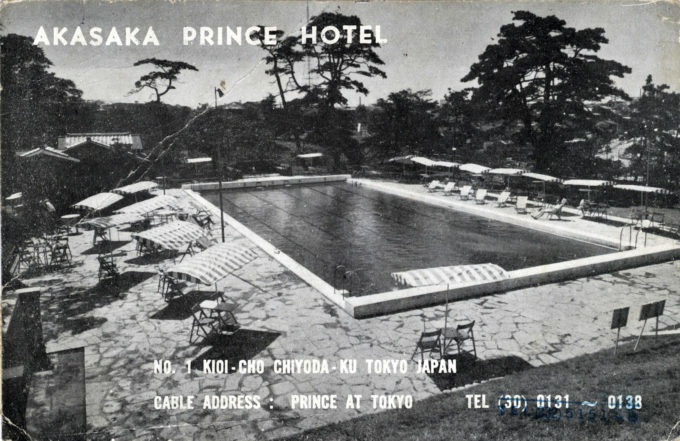 Swimming pool on the premises of the Akasaka Prince Hotel, c. 1960. Akasaka Prince Hotel, c. 1980. * Lieutenant General Prince Imperial Yeong, the Yi Un, Crown Prince Uimin (also Euimin), also known as Yi Un, Yi Eun, Lee Eun, and Un Yi (20 October 1897 – 1 May 1970), was the 28th Head of the Korean Imperial House, an Imperial Japanese Army general and the last crown prince of Korea. His son, also named Yi Un, was born in Kitashirakawa Palace in 1931 and, coincidentally, passed away in the same premises in 2005. Anglo-Japanese Alliance, c. 1905 | Old Tokyo on Mitsukoshi Department Store, c. 1903-1923. Tokyo'da yemek kültürü nasıl gelişti? on Uogashi (Fish Market) at Nihonbashi, c. 1910.